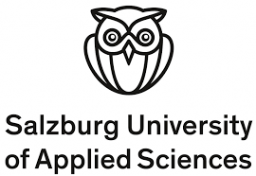 The Salzburg University of Applied Sciences offers its 2700 students a first-rate academic education with a strong practical orientation in the following disciplines: Engineering, Business and Social Sciences, Design, Media and Arts, and Health Studies. With its international outlook and focus on innovativer esearch and teaching the university is a pioneer of future-oriented solutions for business and society, particularly in the dynamic subject areas of technology, health and media. Instruct students of the specialization Media Informatics in the building blocks of image and video coding, especially the H.264 video coding standard. Dissection of H.264 bit streams and visualization of coded block parameters with Elecard StreamEye Studio. Analyzing and visualizing test streams created by the students or the instructor helps students in comprehending concepts that are hard to illustrate or visualize otherwise. Elecard StreamEye allows analyzing and visualizing the bit streams and instruction-relevant information about them. The stream viewer and the hex viewer allow seeing the stored values and their meaning as well as the encoding at bit stream level. For example, it is easier for students to comprehend QP values of 20 by example when seeing pic_init_qp_minus26 from its bit representation to its semantic meaning. It would be desirable in future versions if the selection in the stream viewer would only highlight the respective bits in the hex viewer instead of the complete NALU to simplify the presentation. The motion vectors visualization in the precited view allows demonstrating what the video stream looks like after motion compensation is complete. This helps the students in understanding the impact of prediction (especially when compared to the decoded view). In addition, it helps students to see where motion estimation is unsuccessful and intra prediction is applied in P frames (purple prediction arrows). "Thanks to Elecard for StreamEye Studio tool for using during my lectures."